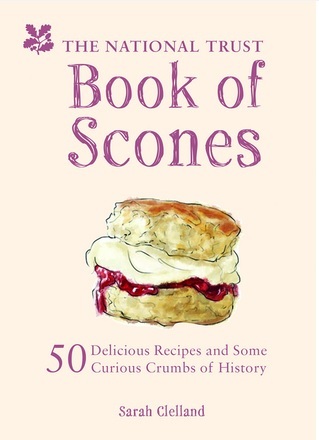 I'm on a roll with this project to bake every recipe in the National Trust Book of Scones. I want to prove that ANYONE can produce scone glory - ANYONE, even me. 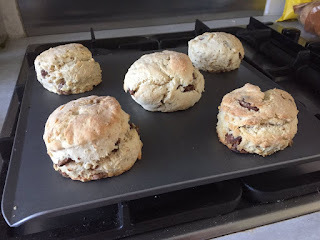 I already shared my first five scones with you - including the dark horsedly-good Earl Grey scone - and then last week I shared scones 6-10, which included the world-famous Chocolate Orange scone. 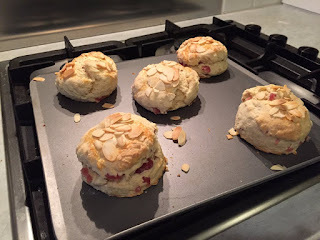 So here we go with scones 11-15! You HAVE to try these. You just have to. They are astonishingly good. They are even worth the pain of baking with cocoa - I had forgotten that the simple act of opening a tub of cocoa sends a spray of fine brown powder up into the air and and down onto every available surface in your kitchen. Wear an apron and you'll be fine. If you said to me, "Scone Blogger, I bet you £20 that you could not get Gwyneth Paltrow to eat a scone," I would probably agree with you. But if I was going to persuade Gwynnie to consume more calories in one bite than she probably does in a week, I would ply her with these ones. Honey! Sunflower Seeds! Ginger! Nature's bounty in a very tasty scone. I'm not going to say much about these, as you're going to scroll down in a moment and see the same scones baked by someone with more of an eye for detail - but these tasted absolutely delicious. I had a catastrophe with these ones. 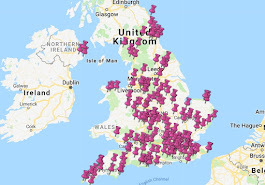 And before you say "yeah, look at the state of them! How did they end up that shape? ", it's not the mishapenness I'm talking about, nor the enormous hunks of chocolate that look like they're trying to escape because I failed to chop them up properly. I forgot to put the cocoa in. Maybe the experience of baking the Triple Chocolate scones did affect me after all. They still tasted lovely. I'm now going to humiliate myself by showing you an example of a Sconepal bake. 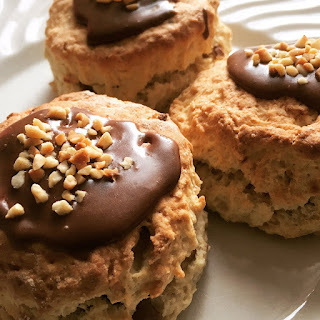 These are the Chocolate Hazelnut as baked by Sconepal Emma Jayne. Now look back at my Chocolate Hazelnuts above. I think I need to work on my aesthetics. 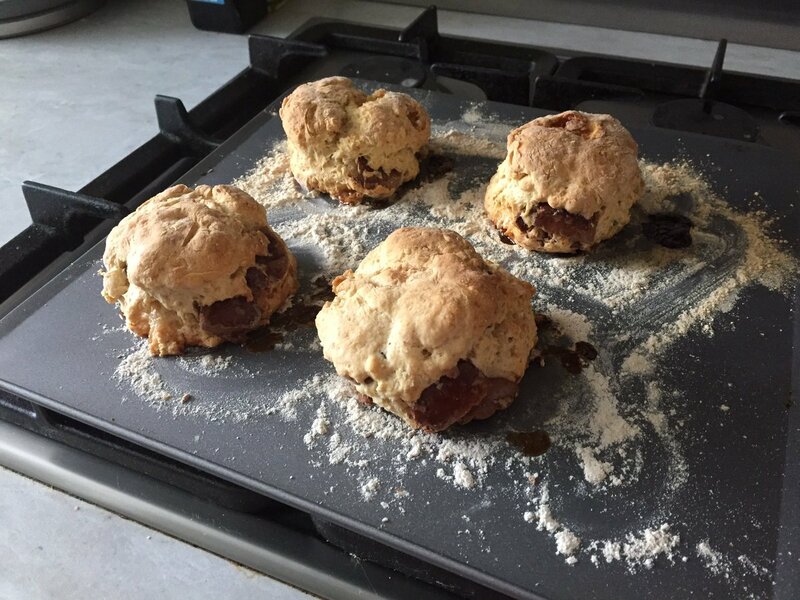 I love seeing photos of your scone bakes, so keep sending them!